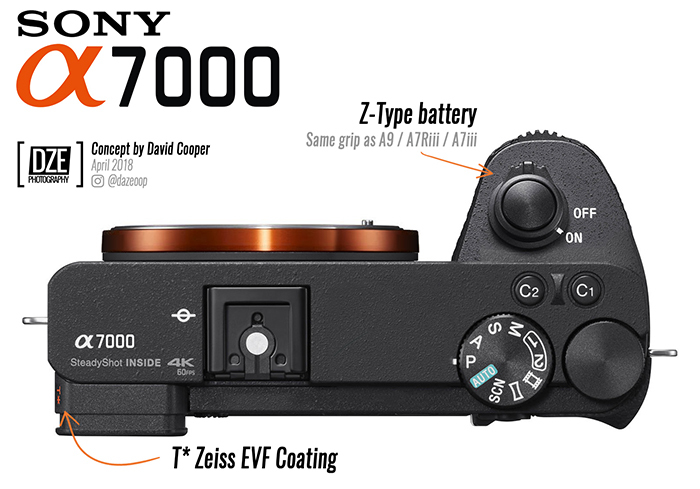 Just a rendering of a possible A7000 (article here). First an update: The trusted source corrected himself and said the new High End APS-C camera could be announced nwo and Photoplus. Which means max in 7-8 weeks. I hope it’s coming at Photkina already (2-3 weeks). Now multiple sources heard about a new very high End Sony APS-C E-mount camera that will be announced within 1-2 months (likely Photokina and if not than at PhotoPlus). And one of the sources said the camera will be announced along a new APSC-E-mount lens. I have no specs of this lens but I do hope it’s a f/2.8 standard zoom lens (16-50mm f/2.8 would be nice). next post: Sony launches a new teaser for an August 30 announcement: Only compact cameras to be announced?